As the end of March is approaching (where on Earth has the first 3 months of 2017 gone?!) 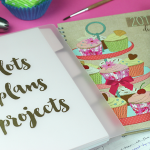 I thought I would share a few things that I’ve been loving this month! In all honesty though, some of my favourite things are probably from the start of 2017, but I’ve been having a super busy year so far and just haven’t had the time to photograph and write a faves post yet!! 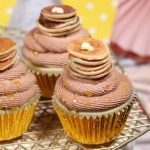 If you didn’t already know, I’ve also been guest blogging over at Cake Bag. 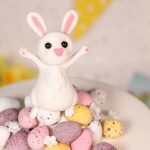 I’ve been writing weekly tutorials since January this year! It’s been a fantastic opportunity for me and had certainly challenged my organisational skills along with my creativity! 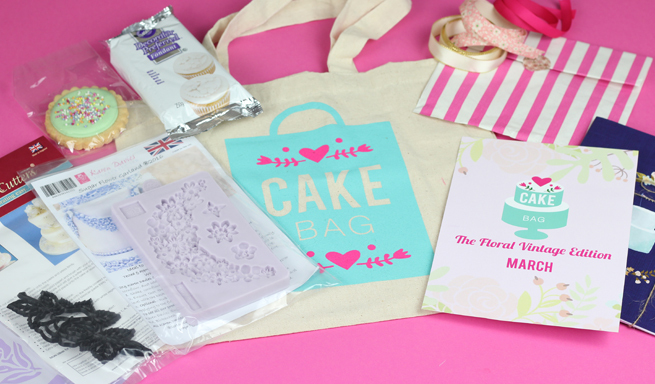 My tutorials show you how to use the products inside Cake Bag and I also share recipes too! 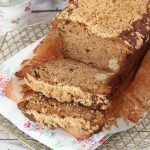 If you haven’t subscribed to receive the monthly baking goodies yet, head on over to Rachel’s website here and check it out! 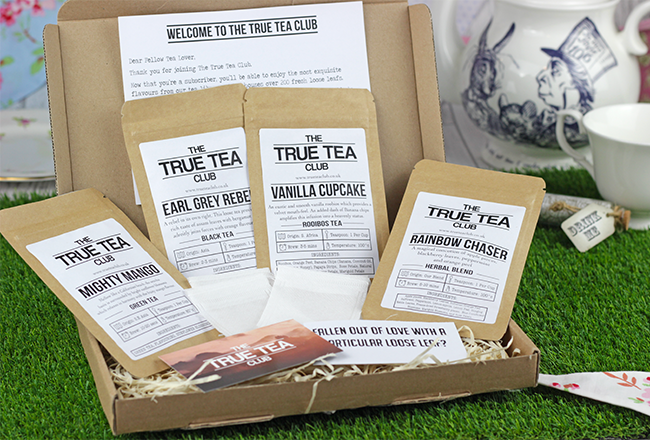 Aprils theme is Birthday Tea Party, as Cake Bag has been going for a year now! 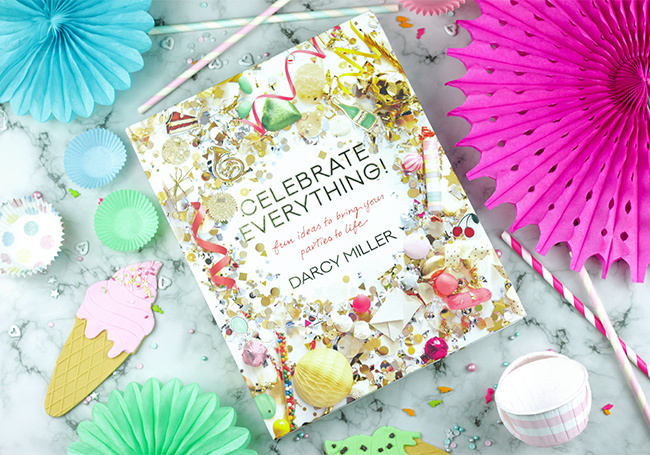 One of my favourite books this month is Celebrate Everything by Darcy Miller. 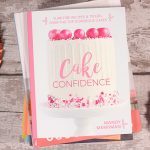 I usually love a good recipe book but this one covers every aspect of party planning as well as a few recipes thrown in. The photo’s inside are beautiful and inspiring. 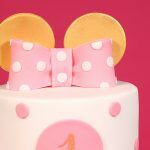 It’s sparked some creative food styling ideas for me which is handy for my photography sessions for my cake creations. 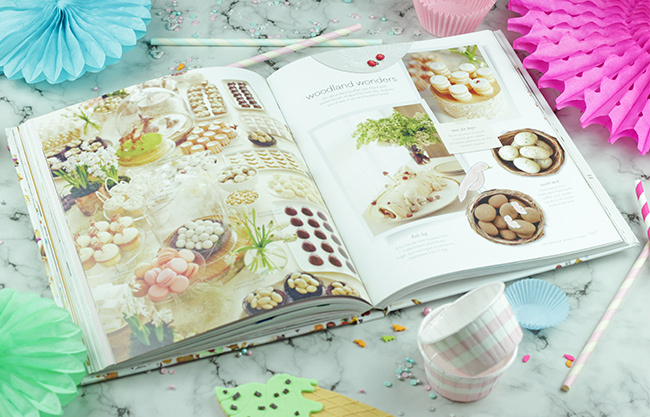 If only I had more time and reasons to celebrate and throw stylish parties from some of the ideas in this book! 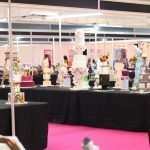 I also enjoy a magazine or 2 every so often and one of my faves is Cake International Magazine. 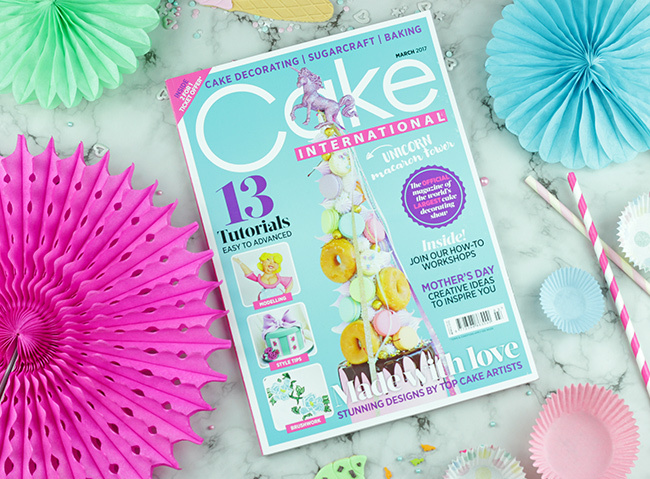 Packed full of useful ideas, recipes and tutorials from the baking universe, the March issue really caught my eye when I walked past the magazine rack as there is a unicorn macaron tower on the front! How can you not buy something that has a unicorn on it?! 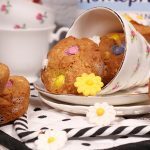 There’s nothing I like more than taking a break from work and baking to enjoy a cuppa and a magazine and this one is full of interesting articles. 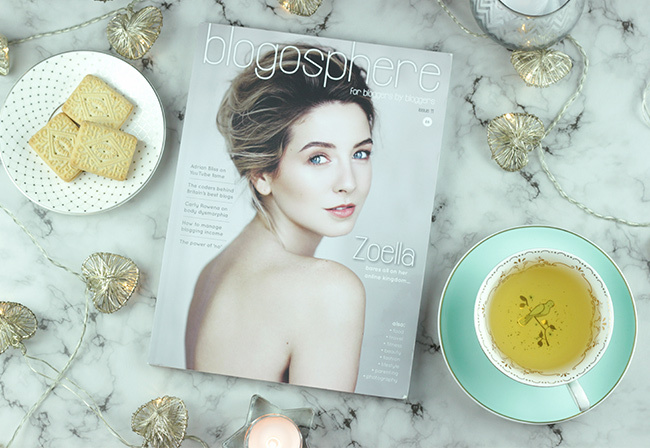 I also follow Blogosphere on Twitter and take part in their weekly Twitter chats on Sunday’s between 8pm-9pm, it’s a great place to connect with other bloggers and interact in the blogging community. Another way I enjoy to relax is to take a nice bath and what could be better than taking a lovely Lush bath. Their bubble bars are by far my favourite products they make and I regularly stock up on these ones; Creamy Candy with its sweet candy floss smell really perks you up if you like a morning bath, it’s also full of almond and cocoa butter which is softening and conditioning and leaves your skin smelling yummy! 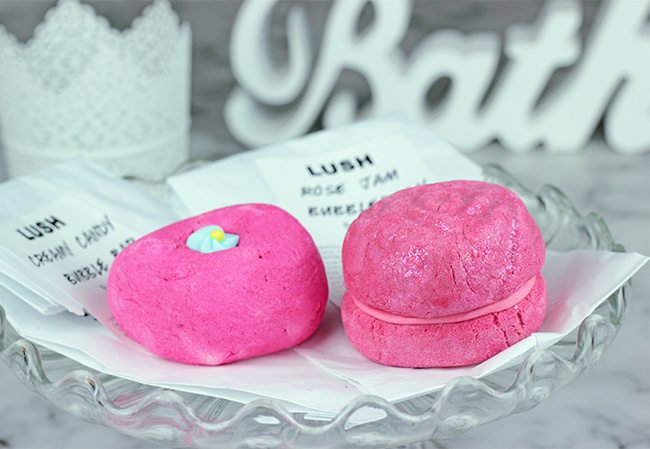 I also love Rose Jam Bubbleroon (a bubble bar crossed with a macaroon?! What could be better?!) This one is shaped like a pretty rose with glitter on top and has a sweet floral smell provided by the lemon, rose and geranium oils. 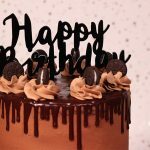 This one is also moisturising as it contains fair trade cocoa and Shea butter. Both of these bubble bars turn the bath water pink as well as filling your bath full of foamy bubbles…heaven! 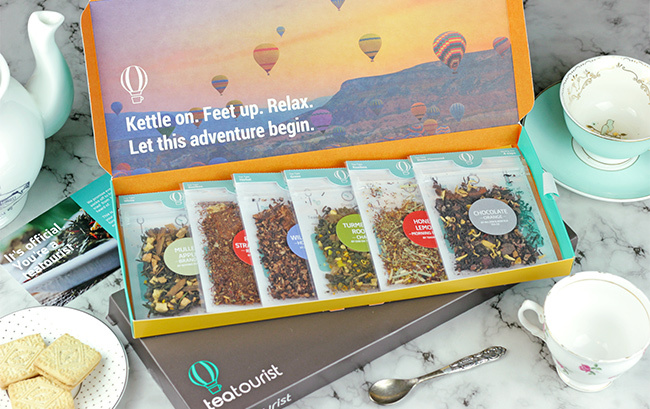 I love all the different flavours that you can enjoy seasonally as well as drinking a variety of blends throughout the day. 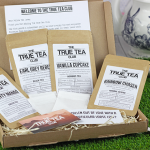 I’ve also found that there’s a lot of tea subscription boxes out there now and Tea Tourist kindly sent me their March box which I can’t wait to try out! Keep an eye out on my social media on Facebook, Instagram & Twitter to see what I think! I’ve got a busy April planned already! 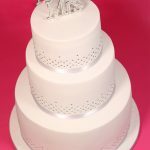 Spending time with family and friends, creating some Wedding, Christening & Birthday cakes as well as planning in some recipes and tutorials. You can keep up to date with all my shenanigans here and on my social media! I hope you all enjoy the rest of March!